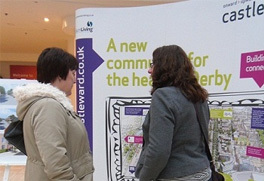 Interested in a property or want to know all the latest Castleward news? Register your details below for further information. Compendium brings together two recognised leaders in urban renewal, Lovell Partnerships and Riverside. Our passion and shared vision is to create homes and communities that will enhance the quality of residents' lives for generations to come.